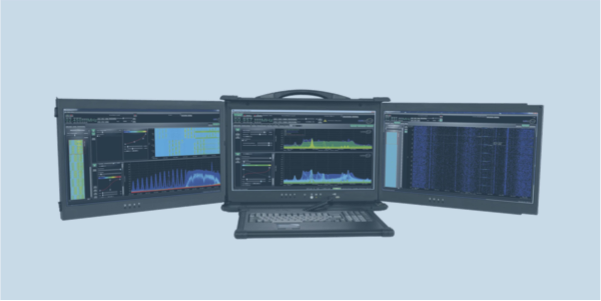 SA-K001 RF Command Center is a powerful portable 20 GHz spectrum analyzer/PC scanning up to 1000 GHz/s & 350 MHz capture bandwidth plus 40 TB of SSD recording capacity. 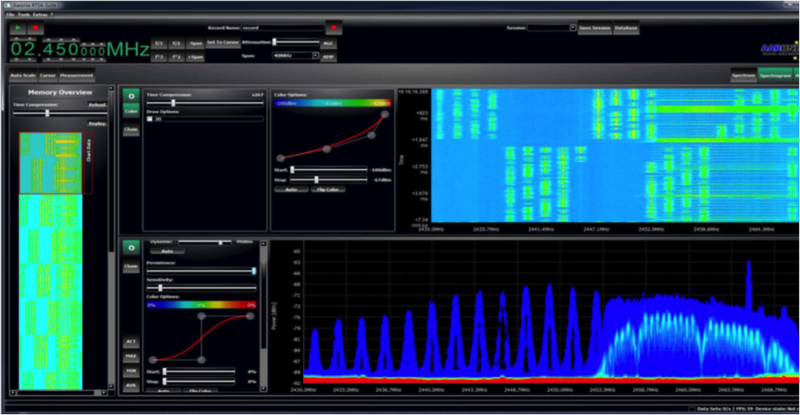 RF Command Center embodies Aaronia’s state-of-the-art SPECTRAN V5 spectrum analyzer. It scans 20GHz in less than 20 milliseconds, a blazing 1000GHz per second. 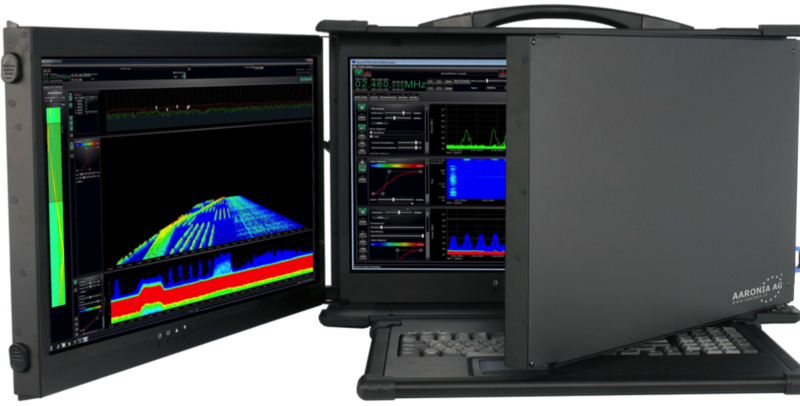 This high-end spectrum analyzer offers outstanding RF performance with simultaneous viewing of measurement details, all in a compact portable PC package.Three large full-HD widescreen monitors display captured data of 88 MHz (optional up to 175MHz bandwidth in real time; or 350MHz with two internal analyzers), with a 100% probability of intercept (POI) for signals of duration 1 microsecond or less. The embedded computer is an Intel i7 with 16 GB RAM and an nVidia GeForce GTX graphics card, which enables gapless streaming and playback. Add up to 40TB ultra-fast SSD drives, and at only 1GB per minute up to four weeks of spectrum can be stored. A roller-case is provided to allow the complete system to be stowed and easily transported. * High-resolution persistence spectrum display of the current sweep, Average, Min / Max, peak, RMS, etc. * Intuitive drag and drop zoom, short-cut keys, etc. * Spectrogram / Waterfall plot for visualizing frequency hops, pulse rate, time variant spectra and VCO tuning.